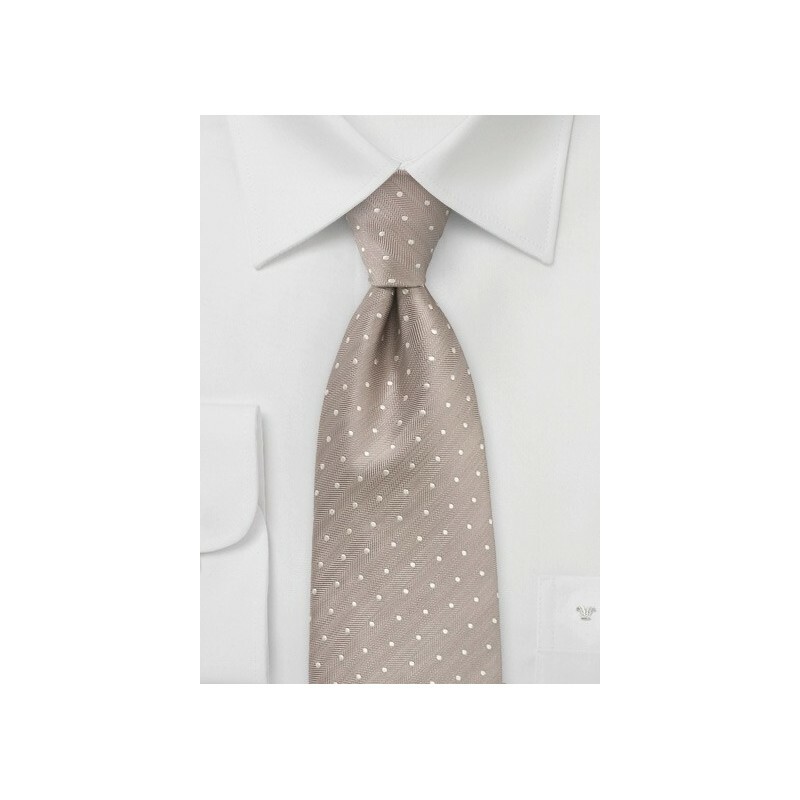 Add an understated dose of cultivated elegance to your wardrobe with this handsome and dynamic hand embroidered polka dot patterned tie in fawn. 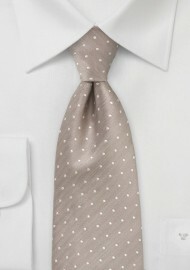 The elusive shade of fawn is a versatile hue that partners well with a broad collection of menswear neutrals. Coordinate an overtly debonair outfit that would make James Bond swoon by teaming this extraordinary tie with a tailored off-white dress shirt and a slim tailored lightweight tan suit. Handwoven from one hundred percent pure and flawless silk. Designed by Chevalier and available in a spectrum of colorways.